The last few days before I leave home for India are always frantic. I have been making this trip so often that I always expect that by now I will be completely organised and ready to fly, but as I write this, little more than twenty four hours before departure my luggage remains unpacked and I have so much to do it feels like I will never be organised. I try to remain calm and tell myself that this is the usual situation and all will fall into place. This tactic however, does little to assuage my panic. It is fifteen years since Sara and I first visited India and I have been returning with increasing regularity ever since. Nothing could have prepared us for the sensory explosion that greeted us on that first trip. The constant noise of traffic and voices all shouting to be heard, the dizzying motion everywhere from autorikshaws, buses and motorbikes dodging between dogs, goats and cattle, the heady smells of herbs and spices, and the vast range of bright colours that dominate the entire environment. The beautiful reds, greens and kingfisher blues of saris, the garish splash of the cinema posters, ornate shop fronts and huge advertising hoardings, so many in number that it is impossible to take in all the information. I had thought that after so many visits my senses would have adjusted, but they remain excited and at times exhausted by this cornucopia of sensory assault. I can honestly say that since before that first visit I have tried hard to learn as much as I can about this stimulating and wonderful country. 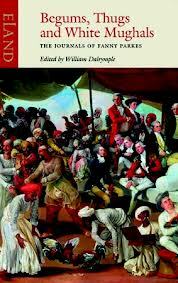 I have read books which inform me about aspects of the history, philosophy, religions, art and architecture of India. I have listened to music, visited exhibitions and tried to keep abreast of a burgeoning Indian media. I have taken every opportunity to question and debate with Indian colleagues about so many aspects of Indian life and culture. Yet still I feel that I know nothing and understand even less of this place to which I am about to return. It would take more than a lifetime of study to begin to appreciate what it is that contributes to this unique environment and its vast and varied populace. It would certainly require an intellect far greater than mine to comprehend the contradictions and the conundrum that is India. But therein is the joy of this opportunity; one that I have endeavoured to grasp with both hands. I sometimes feel that it is impossible to see India with any accuracy through western eyes. I believe that this is why for so many years the British, and to a lesser extent the Portuguese, Dutch and French tried so hard to impose their own standards and values on the country and found it difficult to understand the people over whom they governed. Even the Moghuls, with their distinctly Persian influence could not fully impose their cultural dominance upon this sub-continent. Whilst occasional rulers have left their mark, as seen in the magnificent Moghul or British imperial architecture most familiarly represented at Agra through the Taj Mahal, or in New Delhi with its imposing Lutyens buildings, or at times through the systems of administration witnessed in the law courts and education system, there remains a unique Indian interpretation that has taken the best of these but continues to assert an independence of spirit and character. Over the years there have been many great European commentators who have done their best to interpret India for those of us who remain perplexed. The best of these, such as Mark Tully, Stanley Wolpert, James Cameron and William Dalrymple bring some of the minutiae of India into sharper focus, but gaining a broader canvas by which we may appreciate the whole appears far too challenging. I visit India as a teacher, but as with so many teaching experiences I recognise that I play the role of the student every bit as much as the tutor. Whilst sharing my knowledge and experiences with teachers, students and friends in India I am always learning from them and striving to place my interpretation of the world within their context. 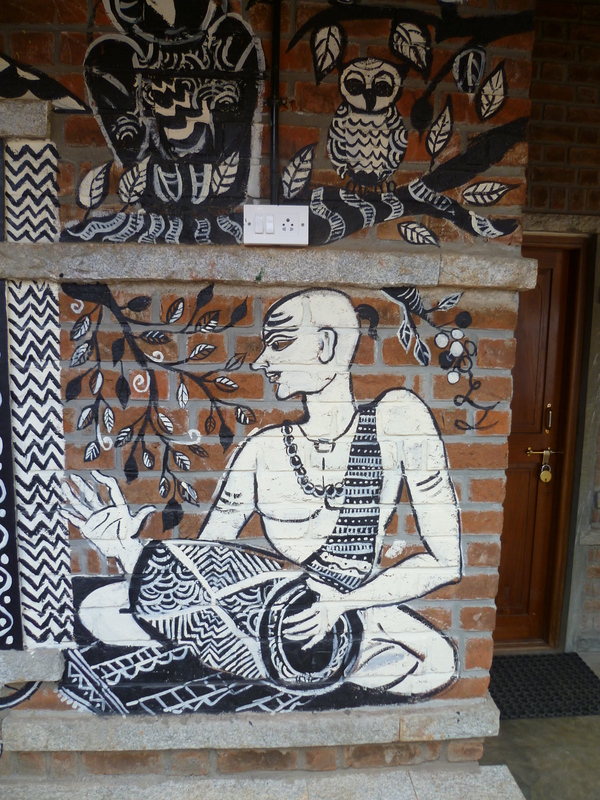 After forty years as a teacher (and far more as a pupil) I gain satisfaction from the clarity with which the indistinguishable nature of teaching and learning combined is in evidence, as I work in Bangalore and other parts of the country. 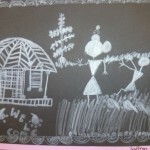 The privilege of being a student here as well as a teacher is difficult to capture in words. So it is that as I do begin to pack my luggage, I gain a little confidence. The materials with which I will teach have been prepared for some weeks and I know that my colleagues Mary, Jayashree and Johnson will be equally ready. This, I tell myself means that the important preparations have been made. If in packing my suitcase I forget an item of clothing or some other accoutrement this will be of little consequence and is unlikely to detract from the teaching and learning that lies ahead. By this time tomorrow I will have checked that I have my passport a dozen times, and even at the airport I will be unsure that I have remember all that I should have with me. But I know that from the minute I am with students and colleagues in India all this will matter less and that we will embark upon the next stage of our learning together. Perhaps this time I will return from India with a little more understanding and an increased store of knowledge. I can hardly wait! Whilst lacking the immediacy of e-mail, a written letter still feels far more personal. Responding to yesterday’s blog, in which I commented on the demise of the letter as a means of communication, Tim Loreman from Canada reminisced about the pre-internet era, when he and his then girlfriend (who has since become his wife), being apart from each other on different continents exchanged letters, written on a daily basis, knowing that they might take weeks to be delivered. I was particularly touched by his romantic recollection that “somehow that process of physically writing, waiting, and receiving letters had an appeal all of its own”. There is still something special about receiving a letter from a friend, and whilst I recognise and value the immediacy of electronic communication, the physical entity of a letter appears to add more weight to correspondence and greater permanence to the words expressed on the paper. I have a file of letters here in my study from my good friend Satish in India, and occasionally return to this small archive in order to reflect on some of the ideas exchanged. There is a reassurance in having this physical permanent record, and whilst I appreciate that it is possible to create files and store e-mails on the computer, this seems like a far more ephemeral and impersonal process. After reading Tim’s comments I spent a little time browsing the bookshelves around my study, and found myself immersed in the pages of various tomes containing examples of collected letters, that inform us about the lives and experiences of individuals, who are probably best known through their various achievements or published works. I turned first to the collected letters of the poet Dylan Thomas which I purchased in Bristol where I was a student of English literature in the 1970’s. I remember at the time thinking that there is some fine prose in many of these letters, which is largely overlooked by the majority of readers of Thomas, who know him mainly through his poetry and short stories. But if we take an example from a letter written to the novelist Lawrence Durrell in Greece, we can appreciate that his love of words resonated through much of what he wrote, even when it was not intended for publication. 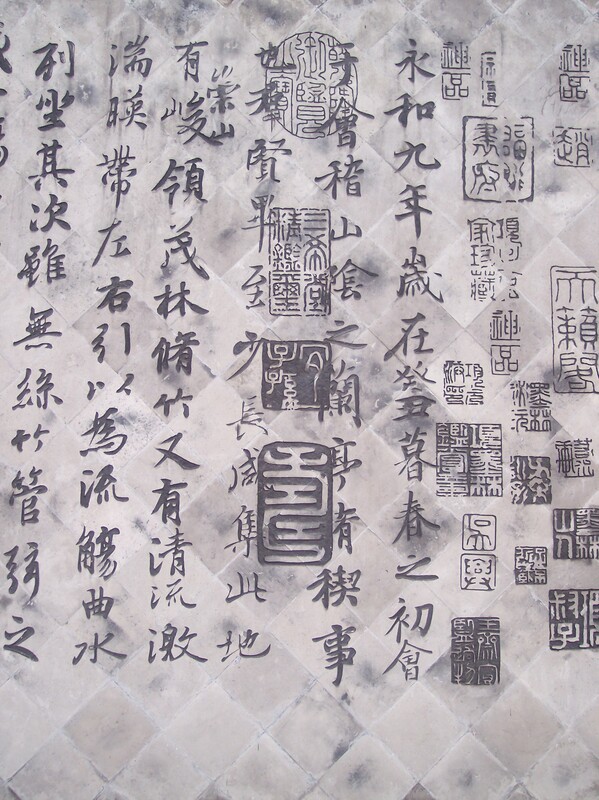 “…Do not worry about your difficulties in Mathematics. I can assure you mine are still greater. Jawarhalal Nehru, writing to his ten year old daughter Indira, later herself to become Prime Minister of India, offered sage words of reassurance and advice against adopting stereotyped images of the world or the people who she would inevitably meet during her formative years. Whilst these letters demonstrate a reassuringly ordinary side to those who may often be seen as extraordinary people, other letters have a telling poignancy that can bring us up short and give us cause for deeper reflection. One such communication, of which I have thought on several occasions during this year of remembrance of the 100th anniversary of the outbreak of the First World War, is that written by the poet Wilfred Owen to his mother in 1918. The sad reality surrounding this letter is that within a week or so of its despatch to his mother, Wilfred Owen was killed in action, exactly one week before the end of hostilities in November 1918. Had copies of these letters, and so many more beside them not been retained, how much less would we know about their authors and those with whom they corresponded? These short despatches tell us much about the experiences and the emotions that helped to shape the works that they created. The writers of letters can certainly be described as the historian’s friend, and I am sure that there is much that we can learn from the documents they have left behind. 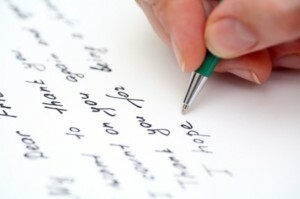 It would be foolish to suggest that we can reverse the tide of the “throw away” communication systems that have come to characterise the digital age, but I do hope that the insights to be gained from the correspondence between individuals may be recognised, and that from time to time we may still be encouraged to write a letter or two in the future. 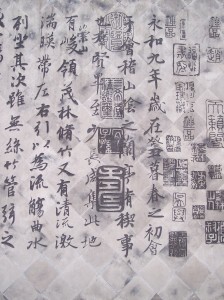 My schooling was largely mono-cultural. It wasn’t that I didn’t have friends whose families were from different cultural backgrounds. In fact had a number of friends whose families had originally come to England from India, Pakistan, Jamaica, Poland and other countries. It was more a case of what I was taught at school being firmly rooted in English heritage. 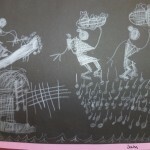 The dominance of English literature, geography, history and art in English schools is, of course, what you might expect. Indeed I think it very important that children are taught about their own background, history and traditions in schools and that this should provide a firm foundation for learning about the wider world. By the time I left school at the age of eighteen I had explored a reasonable breadth of English literature. Some of the works of Shakespeare, Milton, Keats, Lawrence, Dickens and other literary giants were familiar and similarly in history I was relatively well versed in the industrial revolution, the English civil war, and life in early medieval Britain. I had a reasonable knowledge of the physical and social geography of the British Isles and I was fairly confident in navigating my way around local government, the legal system and democratic processes through a subject called “civics”. I suppose if there was one subject in which British culture didn’t dominate in my school days it was music. Whilst composers such as Vaughan Williams, Elgar and Britten did receive honourable mentions, it was Brahms, Beethoven, Mozart and other mainland European composers who were instilled upon us as the greats. It was not until I left school and started my higher education that I began to encounter the wealth of literature and the significance of history from around the world. I remember having been introduced to Camus, Voltaire, Mann and Dostoyevsky early in my studies and greedily devouring all of their works. A greater appreciation of history brought me briefly in touch with Alexander the Great, Garibaldi and Simon Bolivar and gave me a greater appreciation of how borders were formed and countries reshaped. My reading around the Moghul Empire and the tragedy of post-independence partition provided my first introduction to Indian history and also encouraged me to explore the music of Ravi Shankar, Zakir Hussain and Ustad Bismillah Khan. Having acquired the learning bug I have ever since been trying to catch up lost time in understanding more about the world in which I live. It is, of course a frantic race and one that none of us is destined to win, but that is half of the fun in trying. Schools in England today have changed and reflect the multicultural society in which we live. A visit to any English school will demonstrate a celebration of diversity and the efforts made by teachers to ensure that their pupils have a greater understanding of the diverse communities in which they are growing up. This morning I visited a secondary school in Birmingham, around the walls were many illustrations of the endeavours made to reflect the rich cultural mix of the local neighbourhood. 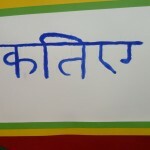 Alongside English script on children’s work and displays I found text in Urdu, Polish and Punjabi. There were examples of school activities for the celebration of Eid and accounts of visits made to a local church and a Gudwara. I find it refreshing to see teachers assisting children to understand the cultural traditions of both their own and other countries, and to celebrate the art, music, dance and scientific achievements of different peoples. I am particularly pleased to see the emphasis upon respect and understanding that is given during these lessons, which has replaced a formerly more jingoistic approach to teaching. 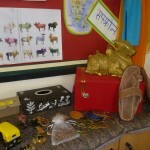 At this time of year Sara’s year group at school celebrate all things Indian. 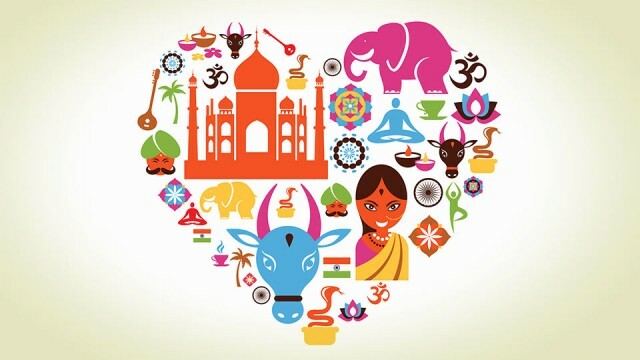 They work with a teacher of traditional Indian dance, learn Indian stories, consider aspects of Indian religions, hear music, and learn about Mahatama Gandhi. 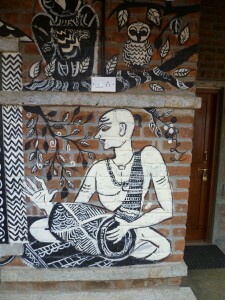 They create art work based upon that created by Adivasi peoples and even cook an Indian meal (though they go lightly with the spices). 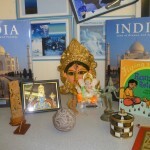 Sara’s classroom is filled with artefacts brought home from visits to India providing a colourful backdrop to the full range of activities. I wonder, if children in England and other European countries in the nineteenth century had been encouraged to develop an understanding and respect for cultural diversity, might the history of the twentieth century have been different? I am sure that a greater emphasis on teaching world geography and history in American schools could ultimately have benefits for foreign policy. I am equally convinced that encouraging greater links between children and schools across cultures could influence the ways in which we all regard our neighbours. With modern technology perhaps this will become a little easier. 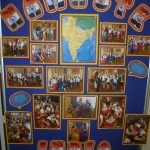 I have posted on today’s blog a display of some of the work from Sara’s class in celebration of India. 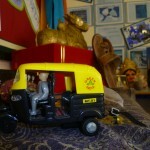 Anyone who has visited India will agree that no display would be complete without the ubiquitous auto-rickshaw! 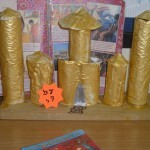 Not quite the Taj Mahal – but getting there! 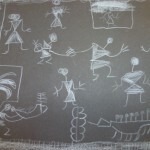 How limited is our own learning and understanding when working in other cultures? Between 1822 and 1846 a most remarkable English woman named Fanny Parkes lived and travelled in India. The wife of an official responsible for ice making working within the strictures of the East India Company, Fanny Parkes arrived in India confident in the superiority of European culture and customs and prepared to live the life of a typical memsahib under the protection of the British Empire. Hers could so easily have become a familiar story of a woman living a sheltered existence under the British colonial authority that dominated the Indian sub-continent at this time, but unlike so many of her counterparts, Fanny Parkes came to respect the history and culture of the country in which she was a guest (when so many others felt they were there by right). The Scottish historian and writer William Dalrymple has lovingly collated Fanny Parkes’ papers and diaries and published them under the title Begums, Thugs and White Mughals* and in doing so provides readers with her personal insights into life in India during the early nineteenth century. The reason I am so fascinated by the account of Fanny Parkes’ life is that at a time of repressive imperialism when not only British officials, but others from across Europe thought that their own form of “civilization” and life style was superior to that of other nations, she recognised that by respecting the cultural traditions of others it was possible to learn and understand that alternative interpretations of the world had much to offer. During her time in India Fanny Parkes travelled widely – a particularly enjoyable part of the book is her account of a lengthy journey by boat along the Ganges, but she also learned languages, studied Indian music including the playing of the sitar, art and cuisine and developed an appreciation of the intricacies of both Hindu and Muslim religious practices and their texts. Dalrymple, who is surely one of the finest European chroniclers of Indian history presents us with a picture of a lady who by showing respect for local people found that this was reciprocated. Yet she was derided by many of her English contemporaries who saw her as eccentric and failing to uphold the dignified aloofness expected of a representative of empire. Fanny Parkes lived during an era when the imposition of western ideas and beliefs upon the rest of the world had become the norm. Fortunately the twentieth century saw a diminishing of the power held by previous colonial powers as countries across Asia and Africa gained their independence and began to take greater control of their own destinies. Many of us now look upon the writings of Fanny Parkes and others like her, with admiration for the stance she took in trying to bring to the attention of others, the great histories and culture of peoples who had been looked upon as subjects to be shaped into the mould of Europeans. I would suggest that the lessons we can learn by reading the accounts provided by Fanny Parkes and others of like mind are relevant to those of us working in education today. Not only does she provide us with an example of someone who demonstrated the importance of respecting tradition and culture, but I believe she gives us food for thought about the ways in which we conduct ourselves as teachers working within international contexts. Increasingly today we find international collaborations between individuals and the institutions they represent, with academics, teachers and researchers travelling to visit unfamiliar circumstances in the name of educational advancement. These opportunities are to be welcomed so long as we are clear about what it is that motivates action and have well established principles that guide the way we work. Universities in particular have adopted the language and behaviours of businesses operating in an international market place. Sadly I often hear and read these days expressions such as, “China is a growing market for education”, or “Brazil offers rich opportunities for the expansion of university activities”. Whilst it is certainly true that universities need to keep themselves abreast of opportunities for the recruitment of students and the development of knowledge on an international scale, there are potential pitfalls that need to be considered. Not least of these are the motivations for the work to be undertaken. If universities focus solely upon economic gain they will most certainly find that after a relatively short time they will fall out of favour with the countries that they are currently wooing. It is important to ensure that international partnerships are developed in which all involved are equal partners. The days of educational benefice should be confined to the past as we move forward with an intention of shared learning and understanding. This shared learning is, for me, at the core of what we should be aiming to achieve. In my own field of special and inclusive education I have seen too many academics from western universities and other institutions travelling like colonial missionaries intent on bringing the good word of European, Australasian or North American education to those in need of enlightenment. Such retrograde behaviour must be rejected and confined to the annals of history. The principles which should govern our international partnerships need to be expressed clearly by all involved. A partnership of equals needs to be established, but with host countries setting the agenda and inviting the participation of outsiders. It must be the educationists in the countries where work is to be undertaken who identify the needs which are to be addressed and the outcomes that they desire to see. There surely must be an obligation on those who visit countries for work to learn something of the history, culture and context of the places where they will operate. In this way respectful partnerships may be achieved and all involved will be able to learn and work together. Those who believe that western educational practices can simply be transferred to other contexts are both naïve and disrespectful to the rich educational heritage that has often existed in those countries far longer than those in our own lands. In her lifetime Fanny Parkes failed to convince many of her contemporaries of the need to understand the people and culture of India and other countries that were under British subjugation. Even today there are individuals and organisations that believe themselves superior to those whose traditions, religions, or customs are different from their own. As teachers we should be committed to rise above these spurious notions and strive to achieve partnerships based upon respect and dignity. Above all, when we travel to teach we should recognise that we have a unique opportunity, to learn from the people with whom we work. This will only happen if we see ourselves as neophytes and recognise our responsibilities as guests in the places that we visit. Those who travel in the belief that they are in some way superior would be best advised to stay at home. Hashim. 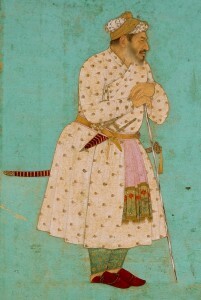 Khan Dawran in a White and Gold Jama and Turban, Leaning on a Staff, ca. 1650, Chester Beatty Library, Dublin. In Ireland they describe this weather as “soft”, their Celtic neighbours the Scots call it “dreich”. Whichever way you look at it, the rain is pouring down and the wind is howling. This is Dublin on a wet Wednesday. I pull the collar of my overcoat up around my neck and push on head down into an icy blast. An umbrella would be a liability today as O’Connell street has become a funnel for the wind whistling up from the Liffey. Dublin and more specifically Trinity College has provided a base for a longitudinal research study that I have been conducting with Irish colleagues into special educational needs provision throughout the country. I have made many friends here and have visited schools in virtually every one of the twenty two counties. I have seen teachers working in both the English and Irish tongue in the coastal cities of Cork and Limerick and in the moorland villages in counties Donegal and Mayo. So it is that for the past four years I have been a regular visitor to Ireland’s capital city and have a great affection for its people and culture. Dublin is a beautiful city, small enough to explore on foot, close to mountains and the sea and furnished with some of the finest Georgian architecture. A great centre for the arts, where the names Swift, Joyce, Beckett, Yeats, Bacon and Orpen have passed into legend and continue to attract tourists and students by the score. The Old library at Trinity College stands as a symbol of the city’s long time treasured commitment to learning, and the twin statues of Oliver Goldsmith and Edmund Burke stand sentinel at the entrance to the college casting a contemptuous glance at those of us would be scholars passing through the portals to the inner sanctum of learning within. Whilst Trinity undoubtedly provides a great seat of learning it is to another part of the city that I often direct first time visitors to Dublin. Whenever I have a brief period of leisure in the city I head for the Chester Beatty Library, an archive of the most splendid and beautifully displayed manuscripts and artefacts. The library, though it is far more accurately described as a museum of international importance, is founded upon a collection donated to the city by Sir Alfred Chester Beatty, a mining engineer born in New York who was an avid collector of illustrated manuscripts, beautiful calligraphy and other richly decorated materials from across Asia. Much of his considerable wealth was directed to the conservation of artefacts and especially ancient texts which are now lovingly displayed in the eighteenth century Clock Tower Building adjacent to Dublin Castle. The library has won national and international awards both for the quality of its displays and for its important work in conservation. I never tire of visiting its galleries and gazing in awe at the magnificent collections which are freely on view to the public. 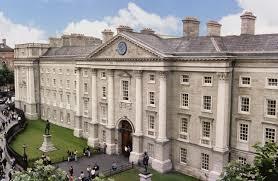 What Chester Beatty has bequeathed to the world is a great insight into the lives of peoples from around the globe. Here for all to see is a wonderful celebration of all the world’s major religions, a cornucopia of arts, crafts and design from the cultures of every continent. Each section of the library draws to the attention of the discerning viewer the skills, knowledge and passions of people from the most populous cities to the remote regions of deserts and mountains. The message clearly articulated within this collection is one of creativity and ingenuity. Beatty built his collection upon respect for the creative genius he saw in the inhabitants of every land and leaves us in awe at the mastery of craftsmen from all walks of life. This is a true celebration of the differences that exist across cultures and of the opportunities that these differences provide for learning from one another. Anyone who visits with an open mind and a thirst for learning has an opportunity to gain insights and new understanding of the importance of diversity and the true meaning of a shared learning. Many of the artefacts on display were in all probability produced by craftsmen and women whose formal learning may have been limited. I always come away from visits to this collection renewed in my belief that I have much to learn from people whose cultural, religious and philosophical heritage is very different from my own.